Summer time, free time. No to-do lists, no meetings, no emails. While you might be ecstatic at first that you don’t have to do anything, this excitement can quickly wear off and it can seem as if time passes by as slowly as a snail. If such a feeling also creeps up in your daily work life, it gets problematic. Overworking, which can lead to a burnout in the worst case scenario, is already an established discussion topic. But what about the other extreme? 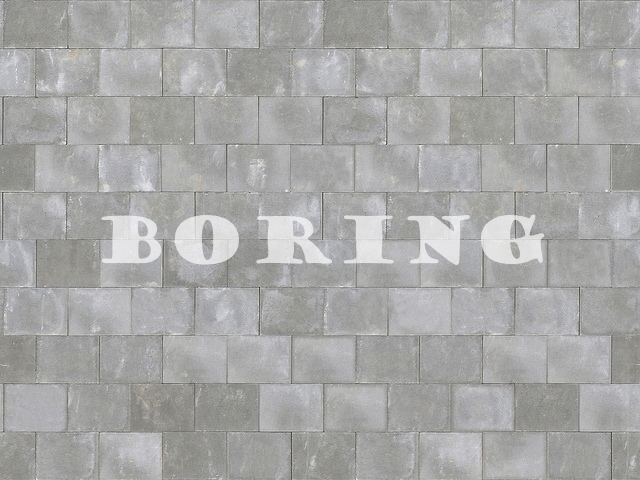 Boredom, in its extreme form ‘Boreout’ can have an equally negative impact on productivity and health. However, occasional boredom can even facilitate creativity. We are constantly bombarded with a flood of information. Particularly the internet can assail you with sensory overload. Thus, when we suddenly find yourselves in a situation where this information overload is missing, boredom settles in after a while. When you’re bored, time doesn’t seem to pass by and a minute can feel like an eternity. In the beginning you enjoy the thrill of doing absolutely nothing, but the more bored you get, the more listless you get from the monotony. Also, our society views this down time as lost time because it was spent unproductively. Often, the best idea popped up totally unexpectedly, as a so-called ‘flash of genius’. This can happen in situations when you’re bored. When we’re doing monotonous work, our brain gets very little stimulation and tries to compensate that internally. A British study from 2014 confirms this. Half of the participants had to copy telephone numbers for 15 minutes. Then, all participants had to prove their creativity by finding different ways to use plastic cups. The group which had to do the two tasks did significantly better than those who didn’t have to do the copying. Other participants who only had to read the telephone numbers did even better. Temporary boredom can have a positive impact, but if it continues for a long time,it can negatively affect your health – in the worst case scenario leading to a ‘Boreout’. Phillippe Rothlin and Peter Werder coined this term in their book “Boreout! Overcoming Workplace Demotivation” in 2007. A boreout is the exact opposite of a burnout, but the symptoms are very similar: Tiredness, listlessness, exhaustion and stress. A small work load contradicts the credo of our achievement-oriented society: get more done in a shorter span of time. Those that are chronically unchallenged start to procrastinate tasks or even invent tasks because they are worried of losing their jobs. Unlike lazy employees, they perceive this state of idleness as unsatisfactory and suffer because of it. Because they fear change (leaving or being let go from their job, because they have become obsolete), they just stay in their current employment. However, in a lot of these cases this leads to a classic ‘exit strategy’ – internal withdrawal. The question is, how to solve the problem of being ‘bored out’? The answer is simple: Clear communication. Preferably as soon as possible because otherwise it will be hard to break out of the vicious circle. First, the root of the problem needs to be identified: why is someone underchallenged, how did it get so far and why did it take such a long time to confront the problem. Then, you need to find a solution. Reallocating and re-delegating tasks to spread the work load more evenly between employees can be a solution. Alternatively, offering further training during the excess free time can benefit both sides , the business and the employees. Finally, allowing employees make creative use of those times when they have less workload can lead to new ideas and impulses that propels the department or business further. Boredom can stimulate creativity, but it can also make you sick. You need a balance between over-and underworking. Alternate between challenging tasks and less challenging tasks, which will help you recuperate. If you’re feeling bored in your free time, you should learn to see it as time that you can use for yourself. If you’re feeling underworked and start to get bored at work, then you should talk to your supervisors about it to solve the problem as quickly as possible. Boredom: Between Creative Potential and Boreout - InLoox • Copyright 1999-2019 © InLoox, Inc. All rights reserved.